The community is named for the Amargosa River which flows through the valley from its origination in Nevada to its terminus in Death Valley, California. Like most desert rivers, the 200-mile (320 km) long Amargosa flows on the surface only when rare rainfalls flood the desert washes, except for a 20-mile (32 km) segment near Shoshone, California, where the river flows perennially. The name Amargosa Valley is used locally with reference to the actual geographic valley, although for the most part, it is coincident with the Amargosa Desert and is noted as such on many maps. The populated area of the Amargosa Valley is sandwiched between U.S. 95 to the north, and the California border to the south. Some of the residential streets in the community cross over into California. Much of the Nevada-California border in this area is contiguous with the boundaries of Death Valley National Park. The national park boundary extends into Nevada near Beatty, approximately 30 miles (50 km) northwest of Amargosa Valley. 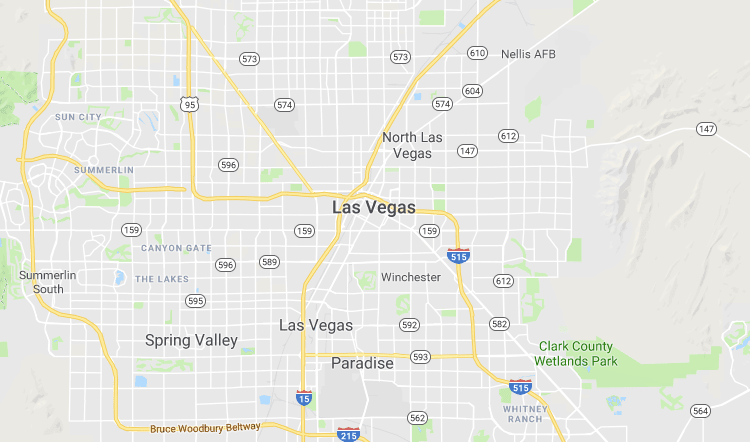 Amargosa Valley is located approximately 88 miles (142 km) northwest of Las Vegas, 35 miles (56 km) northwest of Pahrump, and 24 miles (39 km) north of Death Valley Junction, California.